Atmosphere plays a huge role in what Superlynx do almost immediately on their second album, New Moon. The guitar work of Daniel Bakken works its way into Eastern-style scales in opener “Hex,” giving a meditative feel by which much of New Moon is likewise defined, patient songwriting and pacing finding bassist/vocalist Pia Isaksen, drummer/vocalist Ole Teigen (Midnattsvrede, ex-keyboard in Dødheimsgard) moving through the 10-track/46-minute runtime with a steadily increasing breadth and a tidal sense of heft, swaying back and forth as Isaksen delivers the lyrics slowly in a way that reminds alternatingly of some of Kylesa‘s later work, as on the title-track, or even Acid King in “Cold Black Sea,” but is ultimately far more ethereal in scope. “Becoming the Sea,” the payoff of “Indian Summer” and the faster-paced later cut “Scarecrow” hint at some root in extreme metal, but the brunt of New Moon is in its melodicism and its methodical, nod-setting tempos. Released through Dark Essence Records, it is the follow-up to the Oslo-based trio’s 2016 debut, LVX, and while that album wanted nothing for tone, the fullness of the distortion Isaksen and Bakken bring to these tracks only helps further their ambient impression. They give the offering a richness that helps Superlynx in their apparent purpose of affecting the mood of their audience, which they prove more than capable of doing as New Moon dreamily plods out in cuts like the early going of “Indian Summer” and “These Children that Come at Us with Knives,” the latter of which calls to mind some of Earth‘s rolling drone but still maintains the depth of mix and character that Superlynx seem to bring to each of the tracks. Tempo shifts and turns of melodic phrasing stave off redundancy as the songs make their way past like clouds overhead on an open road — slowly, and with the feeling that they’re working on a different scale of size and time — but New Moon does seem to have a kind of unipolarity in how it functions. That’s contrasted in the penultimate “The Groove,” on which Teigen and Isaksen share vocals in a marked departure from what surrounds while Bakken‘s guitar noodles out in the verses like The Doors on a desert trip before solidifying for the chorus, but otherwise feels intentional, as though Superlynx are working to create a world for their material to inhabit, and to bring the listener to that place of their making. This, like the ribbon of color on the covers of their two full-lengths, is an ongoing theme in their work, but the second outing, frankly, is better at it than the first, and it would seem that part of why is down to the patience in their craft and their willingness even when the songs move — which, yes, some do, like “Indian Summer” or “Scarecrow” or even the theatrical closer “The Thickest Night” — to hold to the central contemplative atmosphere that arrives with “Hex” and provides the foundation on which the subsequent songs are built. It’s not so much about the material sounding the same as it is about individual pieces functioning toward a greater whole. The outlier, then, is “The Groove,” which precedes “The Thickest Night.” With both tracks, it’s more about their position than anything else, but I guess after the outwardly doomed catchiness of “Scarecrow” and the open feeling “Cold Black Sea” — the bassline of which seems to be in conversation with the guitar of “Breath” earlier; both touching on a rhythm that I can’t quite separate from “Sweet Dreams (Are Made of This)” in my head — Superlynx have set themselves up for something of a departure. But the change in bringing Teigen‘s vocals in alongside those of Isaksen, which are so much a part of the overarching vibe of the record — and this is a record that is very much about its overarching vibe — feels drastic, and it’s a change without precedent on New Moon, i.e., it only happens once and it’s tucked away near the end. Entirely possible that’s the point, of course, and Superlynx want to jar their listener ahead of finishing out with “The Thickest Night,” but if New Moon is stating its purpose in its title-track, then so much of what the band are doing is based around slow groove and a moody spirit, and after so much consistency one song into the next, it’s a move that leads one to wonder what brought them to that point, even working as well as it does. Perhaps that’s their way of exploring newer modes of expression, and if so, one can’t argue with the result, even if its arrival is a surprise. As they finish with “The Thickest Night,” the vocals seem to step forward in the mix as the guitars relinquish some of that space to swells of keyboard/synth, and a more psychedelic vibe takes hold, Isaksen‘s voice playing out in effects-laced layers over a slow march outward that builds subtly to a wash before capping with a sudden feeling of letting go. Way back at the start of the album, in “Hex,” there’s a turn that happens at 1:46 into the total 4:43. To that point, Superlynx have built up the track (and album) from silence to a wash of distortion, and then, with just the quickest of drum fills, all three members of the band unite around a crunching, forward-directed riff that’s more aggressive in nature. In concert with the other hints of metal showcased around New Moon, it’s hard to tell if it’s a hint at past or future for them, but it’s an important component of what they do in any case, and as much as their sophomore LP is defined by its melodies and its steady, willful pacing, that undercurrent is there. But so is psychedelia, and so is doom, and so is heavy rock, so as Superlynx work to establish their sound here, it indeed is very much their own, and the stylistic elements they draw from and claim could well be the groundwork of even more worldbuilding to come. If the rolling waves and slow motion of their new video don’t make the point, I’ll just say outright that a lot of what Superlynx do is based around atmosphere. The Norwegian trio proffer a varied gamut of heavier styles brought into one cohesive approach, and it’s that atmosphere that allows them to range as far as they do between psychedelia, doom, post-this-and-that, and sludgier riffing. 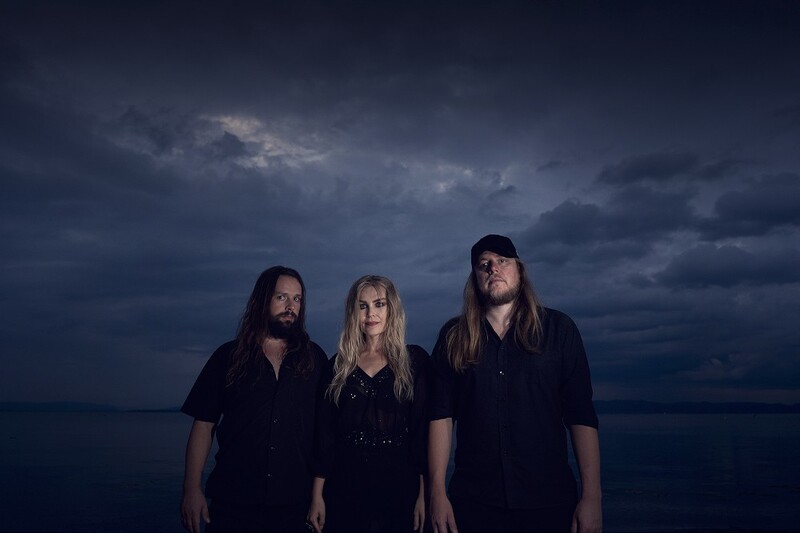 Dark Essence Records will issue their second album, New Moon, on March 15, 2019, and it follows in the spirit of 2016’s LVX in its lead single, “Hex,” for which the aforementioned video — premiering below — has been put together. of Ole Teigen as they wait for Daniel Bakken‘s guitar to next sweep them into the straight-ahead instrumental drive, there’s a patience to the execution from Superlynx, but clearly they’re a band who have an intention toward craft in more than just mixing influences together. And as song becomes more intense, so too do the waters in the “Hex” video begin to churn faster, but still, that atmosphere — just a sense of the otherworldly — is maintained. In combination with their clear delineation between verses and choruses, it makes for a track that’s broad in its scope but still accessible even the first time through. Like most of the new album, HEX was written in challenging times, with feelings of hopelessness caused by both personal and external circumstances. The song was given a ritualistic expression, representing a deep, primal feeling and a need to alter the dark reality. Through creative force, love and a wish for better times this feeling is transformed into music and given a positive outlet. In this way, HEX represents the essence of the album. We have all been through dark times and have dealt with a lot of it through music. You can say that making the album has been a sort of alchemical process. The focus has been on getting through the dark and holding on to what is good in this world. And one of the best things is that music has come of it. 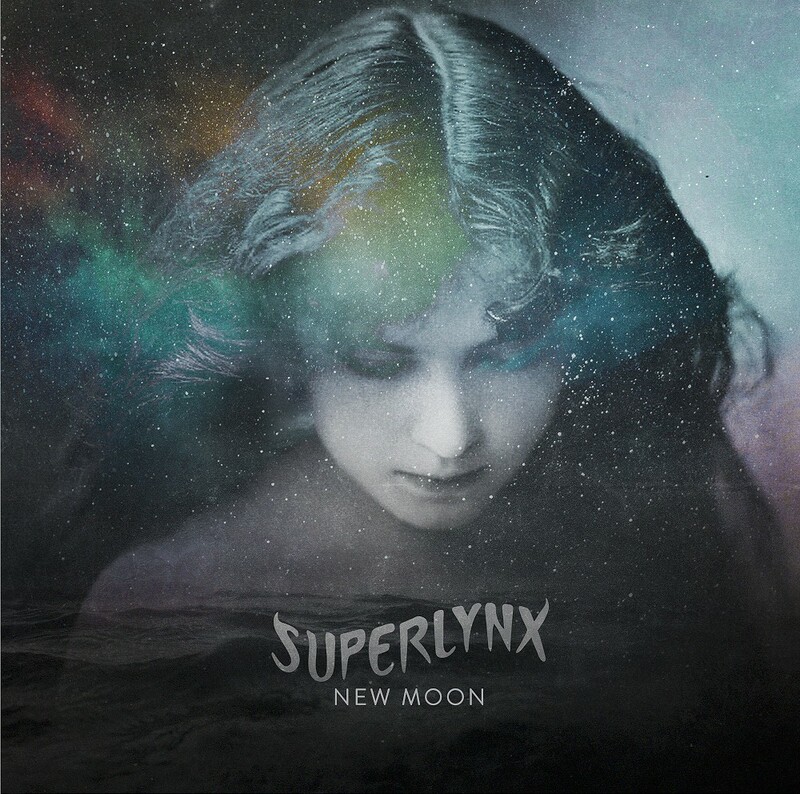 Hex is the first single from Superlynx’s upcoming album “New Moon”, to be released by Dark Essence Records on March 15th 2019. There goes another 0.219 seconds.